Spend the day making a punch needle project for your home or gift giving! 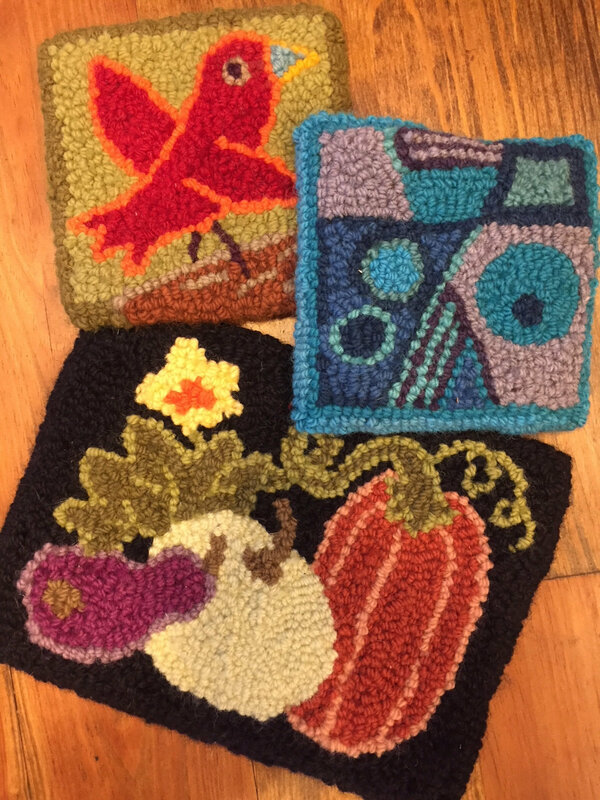 Learn how to use a punch needle with colorful wool rug yarn to create many types of projects and heirlooms. This method of rug hooking, also known as the “New England Style” has been around for about 150 years. Following a pattern drawn on backing material (monks cloth), yarn is threaded through a punch needle, then poked through the backing. Loops of yarn formed on the front create the design. The end result is similar to traditional rug hooking. Holly will share samples of her work and that of others as an introduction. She has many patterns to choose from to make an 8 x 8 wallhanging/mat/pillowtop or will help you create your own design.